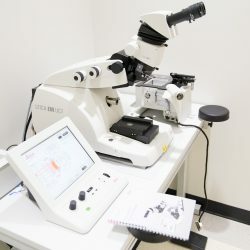 The University of Texas at Dallas’ newly established Imaging and Histology Core facility is located in the Natural Science and Engineering Research Laboratory (NSERL) with 3090 square feet of renovated and dedicated lab space. The core houses state-of-the-art instruments and technology for researchers on-campus and external users to provide affordable support for basic research and translational research in biological and interdisciplinary sciences. This core facility is operated by the Office of Research and employs dedicated full-time technical staff to operate and maintain the equipment. 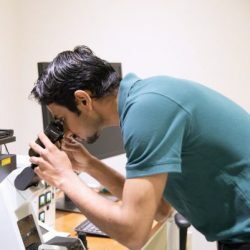 The Imaging Core houses advanced imaging systems, including an electron microscope, confocal laser scanning microscopes, a multiphoton intravital imaging system, and various other optical microscopes. The Histology Core provides support for processing and embedding of tissue samples, sectioning and slide preparation, cell culture, and sample imaging. The Olympus imaging equipment is part of The University of Texas Dallas/Olympus Imaging Reference Center. This center is a collaborative effort between The University of Texas Dallas and Olympus establishing a state-of-the-art imaging core, including top-end Olympus imaging facilities, hands-on training from Olympus staff, an imaging summer school run cooperatively by Olympus and UTD, and regular beta testing of new Olympus imaging equipment. Please contact ImagingCore@utdallas.edu or Ved Prakash, PhD for more information. Please contact HistologyCore@utdallas.edu for more information.